DUBAI, Feb. 22 (Xinhua/Sun) -- The women's world number 44 and former number one Venus Williams won here on Saturday the 22nd edition of the Dubai Duty Free Tennis Championships by beating Alize Cornet from France with 6-3, 6-0. The second set equaled a mere training session for Williams who left her 24-year-old opponent few chances to score. The 33-year-old Williams, who scored two aces during the match, cashed in 471,841 dollars prize money which marked her third win in the Dubai open. The world number 26 Cornet won 251,648 dollars. 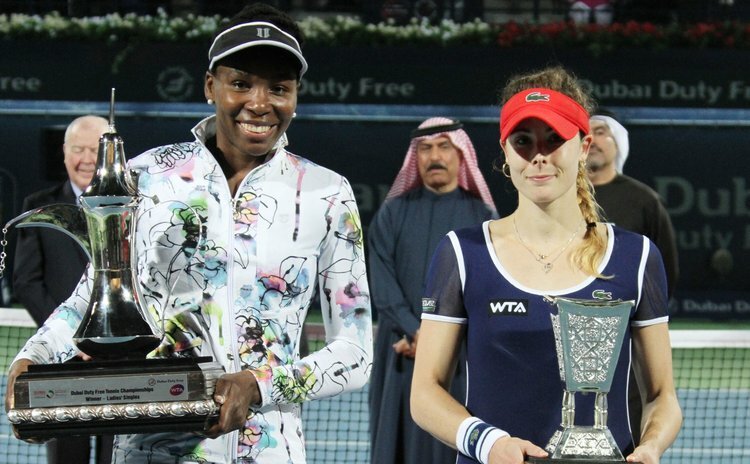 Williams said after the match she was great about the atmosphere in the Gulf Arab sheikhdom. "I need to play here every year. Practicing, playing, all the good things come now together," said Venus Williams. Cornet said she gave all she could, but she was willing to come back "as this was the second time to play in Dubai and I really loved the tournament and the atmosphere."